Spring is just now starting to show itself here in Brooklyn and Cinco de Mayo is just around the corner. 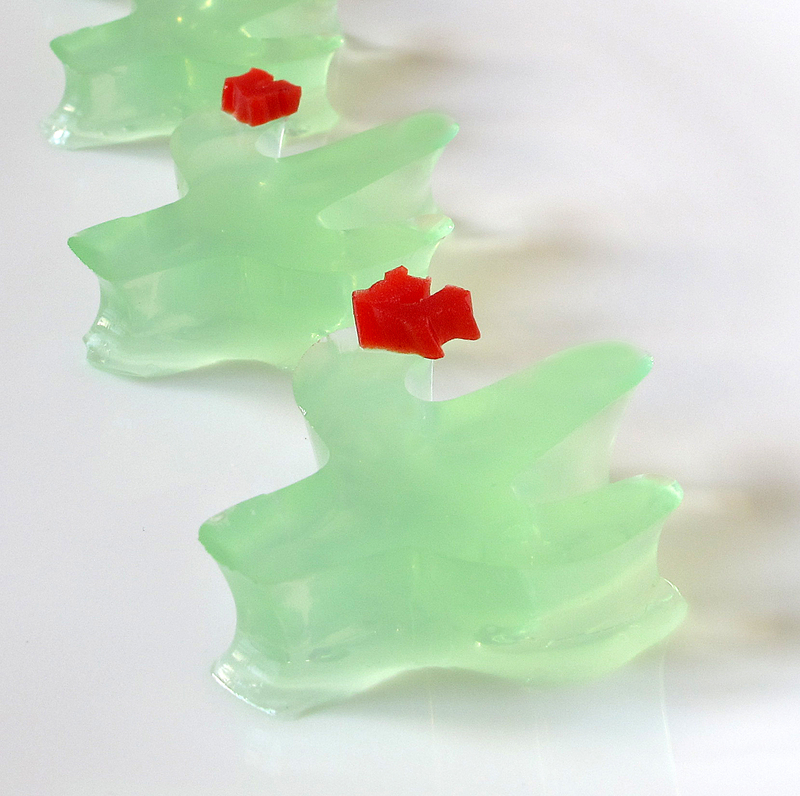 Celebrate this holiday of Mexican heritage and pride with some little cactus shaped margarita jello shots. These are made with silver tequila, triple sec, and lime juice, and are garnished with a little Twizzler cactus bloom. These jello shots will be enjoyed this weekend at a Cinco de Mayo rooftop party. In a bowl, sprinkle gelatin evenly over cold water and allow the gelatin to absorb the water for two minutes. Stir boiling water into gelatin until gelatin is fully dissolved. Stir in sugar. Allow to cool and stir in lime juice, triple sec, tequila, and food dye. Pour into a 9×12 (or equivalent) sized cake pan until about 1/2 in deep. Refrigerate until firm. Dip the pan in warm water for 15 seconds to loosen the gelatin from the pan. Use a small cactus shaped cookie cuter (mine is 1 3/4 inches top to bottom) to cut the cactus shapes. Gently lift onto a plate or cookie sheet. Cut Twizzlers into little pieces and garnish as cactus blooms. How cute are these?! I love the use of the cactus cookie cutter! I used this recipe and made about 25 jello shots which turned out FANTASTIC. The recipe was so simple and people really enjoyed the taste. I like that the color of the shots was pretty plain so I was able to make different colors by adding some food coloring (which makes them really versatile for other parties). Another great recipe, I’m becoming a huge fan of this blog, Thank you! I’m so glad I could inspire you! Your comment made me realize I forgot to list green food dye in the recipe. Other colors would be fun too. Thank you!